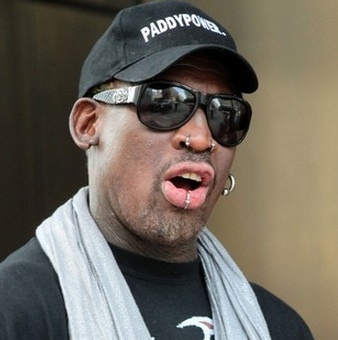 Dennis Rodman enters rehab to undergo his alcohol addiction. The retired professional basketball player is believed to be in a New Jersey treatment center a few days ago after his trip to North Korea. Sources suggested that the American Hall of Famer is beyond exhausted and he will undergo treatment for thirty days. The former NBA player reveals that the alcohol was the cause for his outburst during a recent CNN interview from Pyongyang, North Korea. It is not the first time for Dennis to be in rehab since he had multiple treatments before. He previously checked into a Florida treatment facility in 2008 and appeared on the third season of “Celebrity Rehab” in 2009.